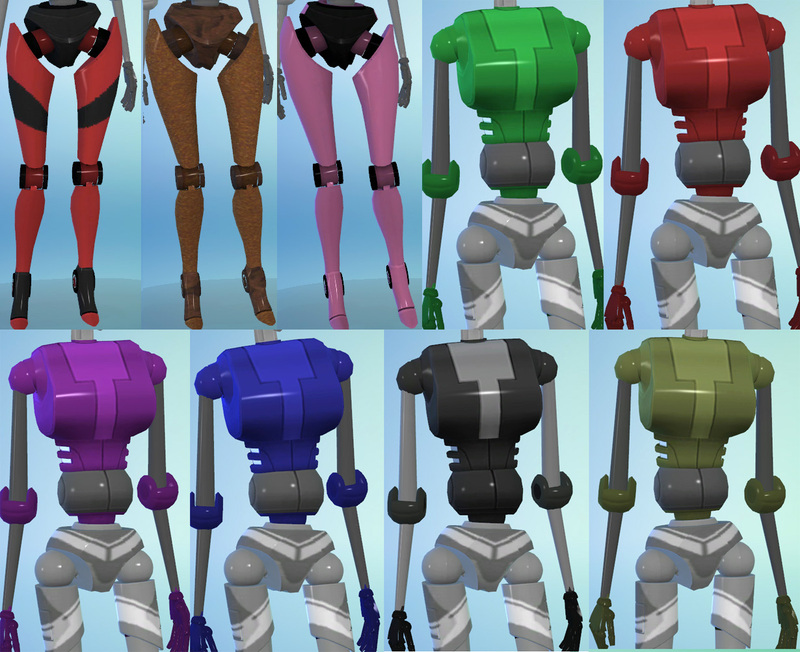 UPDATE NOVEMBER 2017: Still OK with this month's patch (for Cats & Dogs) which apparently messed up the arms on many custom clothing meshes/body meshes. This item is still working as normal. 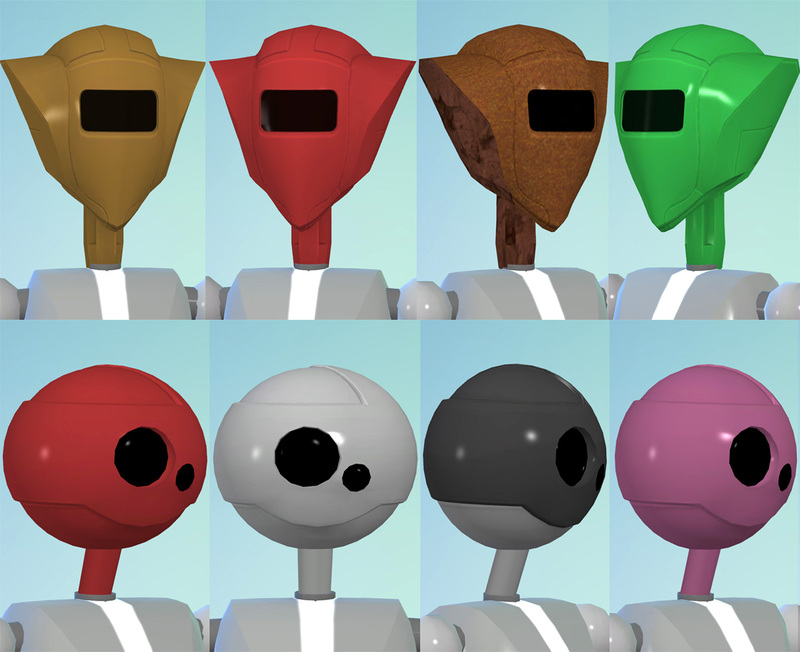 UPDATE MARCH 21 2016: Following the below March 11 update, I've also updated the six heads to now exclude hats. 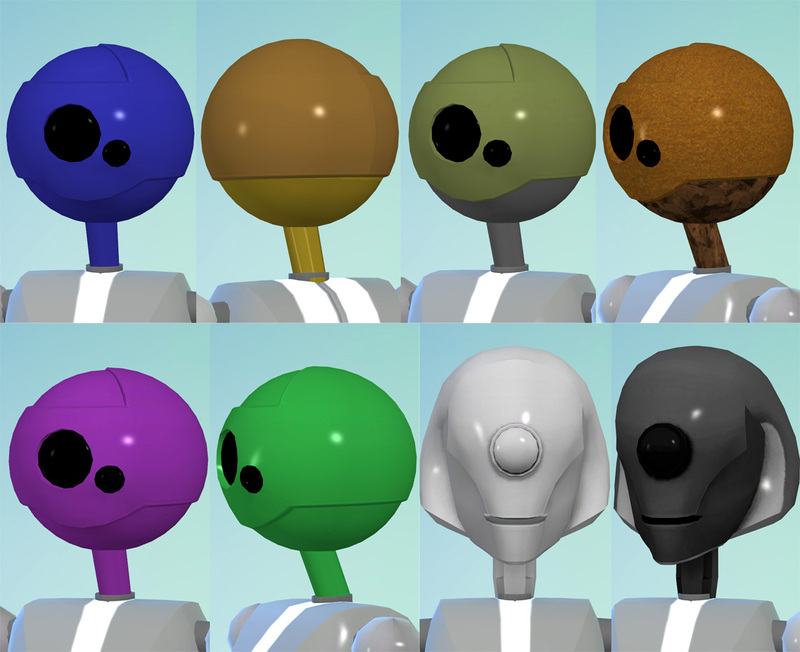 This fixes the previous issue of the sim's head disappearing when the game automatically switches the sim to a hat for career or whatever. (I made this creation back in the early days of TS4 when this wasn't such an issue.) Now the head will stay on and any hats will simply not show up. 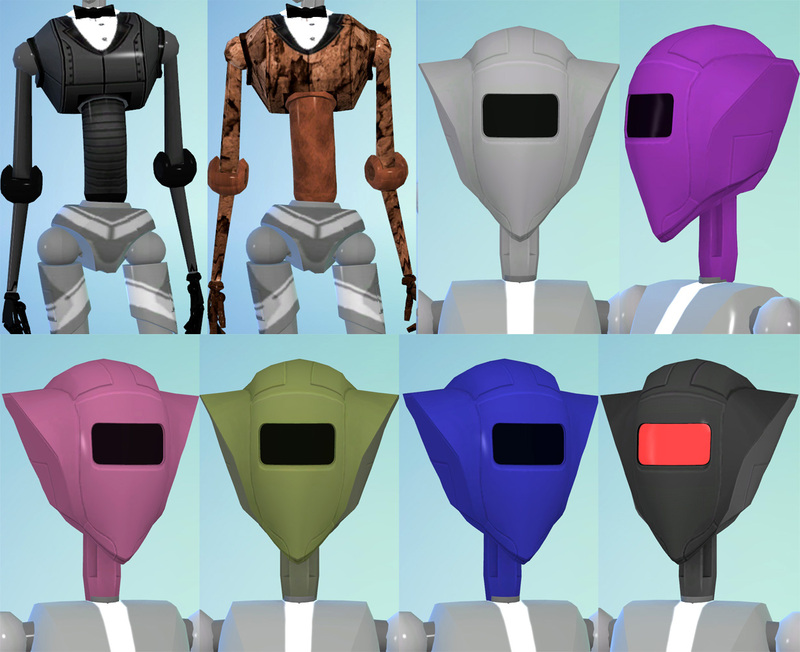 If you already have this set, please re-download and just copy the six .packages with Head in their names, dated 3/21/16, to your Mods folder and let them overwrite the old ones. 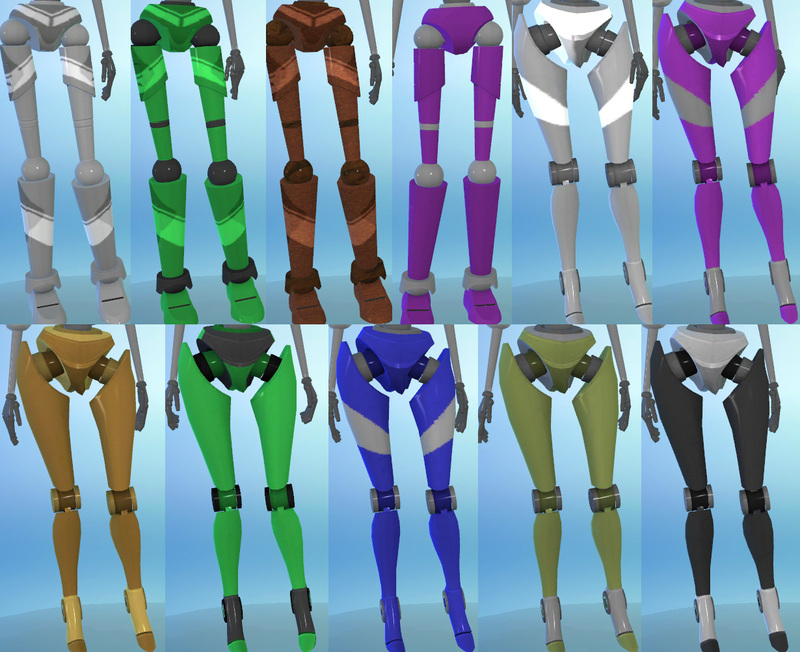 UPDATE MARCH 11 2016: I've reconfigured the three bottoms that come with this set to exclude shoes/feet, which means that they no longer need a Null Feet mod to cancel out the human feet. 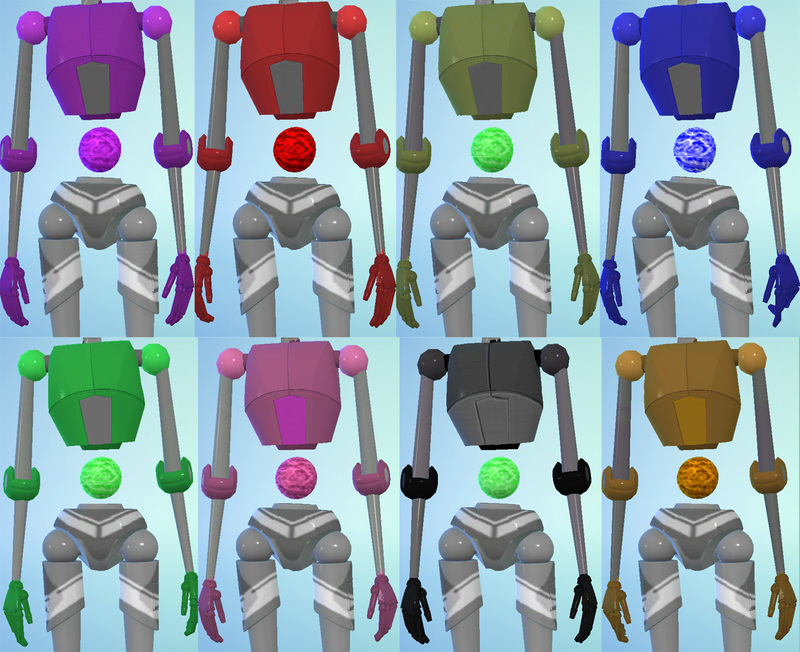 If you already have this set and want the new version of the bottoms, re-download and just copy the three Bottom .packages, dated March 11 2016, to your Mods folder, overwriting the three old ones. And then delete the 'Null Feet for Plumbots' .package from your Mods folder, as it is no longer needed. 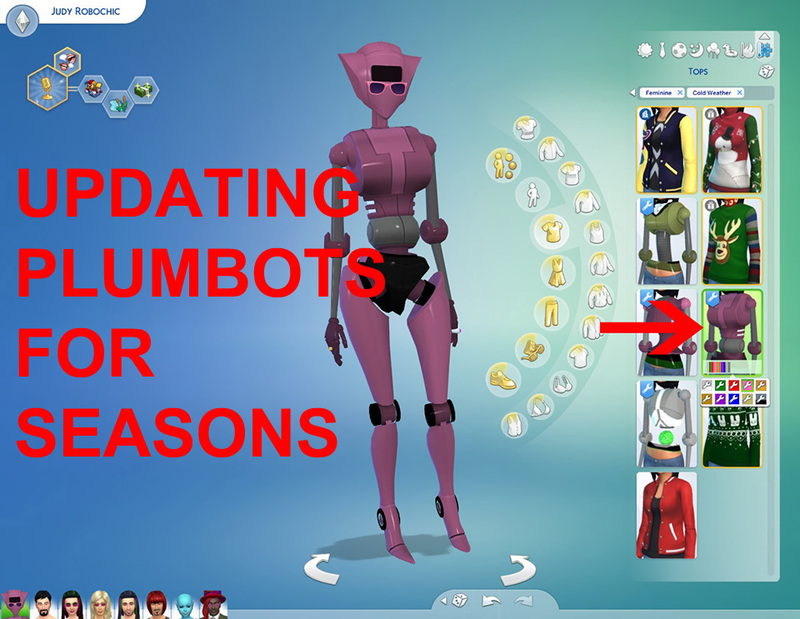 If you already have sims saved with the Plumbot Null Feet, you will probably get a 'CAS item missing' warning when next loading your game after deleting the Null Feet. Re-saving without the Null Feet should clear the message for next time. Here's a set of Plumbot parts converted from The Sims 3 'Into The Future' expansion pack, with which you can assemble your own 'robot' sims. It consists of 13 parts: Six heads, four tops and three bottoms, which can all be mixed and matched. 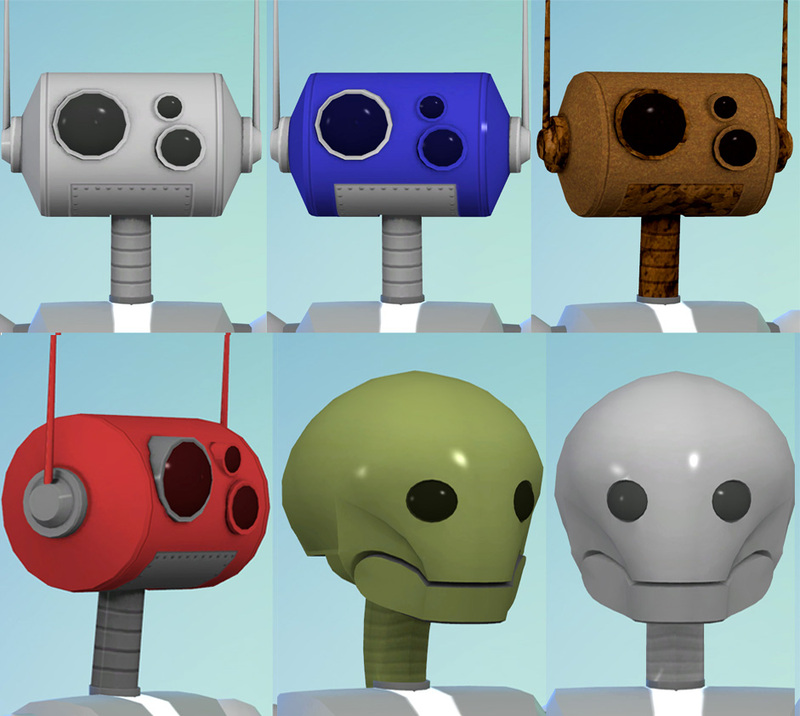 They are found, respectively, in the Hair, Tops and Bottoms sections in CAS, and are for both genders, Teen to Elder. 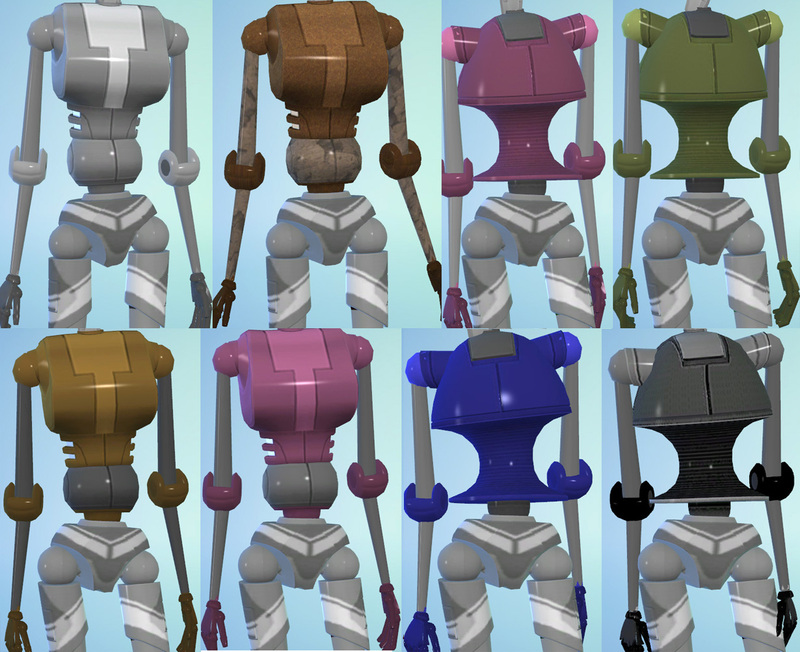 They are disabled for Random, so you should not get townies appearing with random robot parts. The parts should be available under all categories but if not, click the red X filter button to find it. 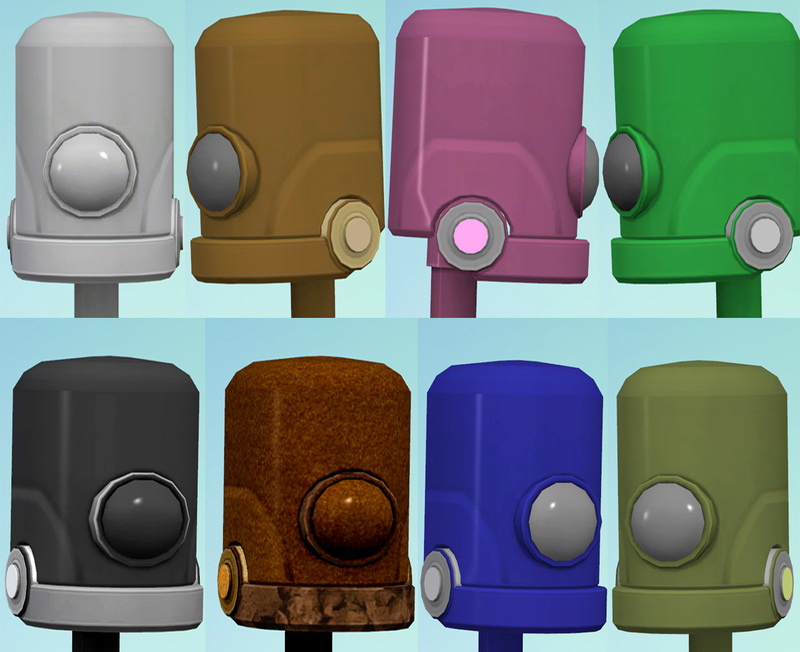 Each of the 13 parts comes in 10 colour schemes: 1) Grey/Silver, 2) Black/Grey, 3) Red, 4) Bright Green, 5) Blue, 6) Purple, 7) Pink, 8) Brown/Gold, 9) Olive Green, and 10) Rusty. Below are examples of Pink, Bright Green, and Black/Grey. 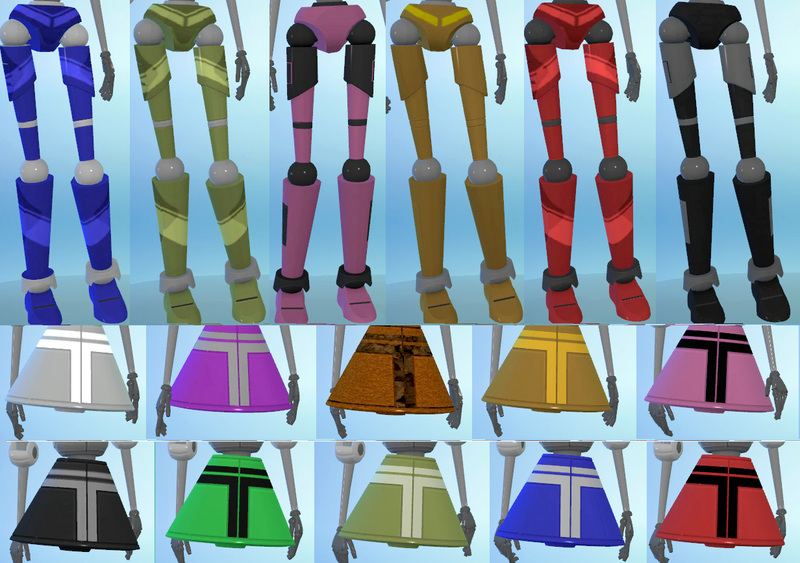 These sims are wearing matching colours but you can of course mix parts of different colours on the same sim. 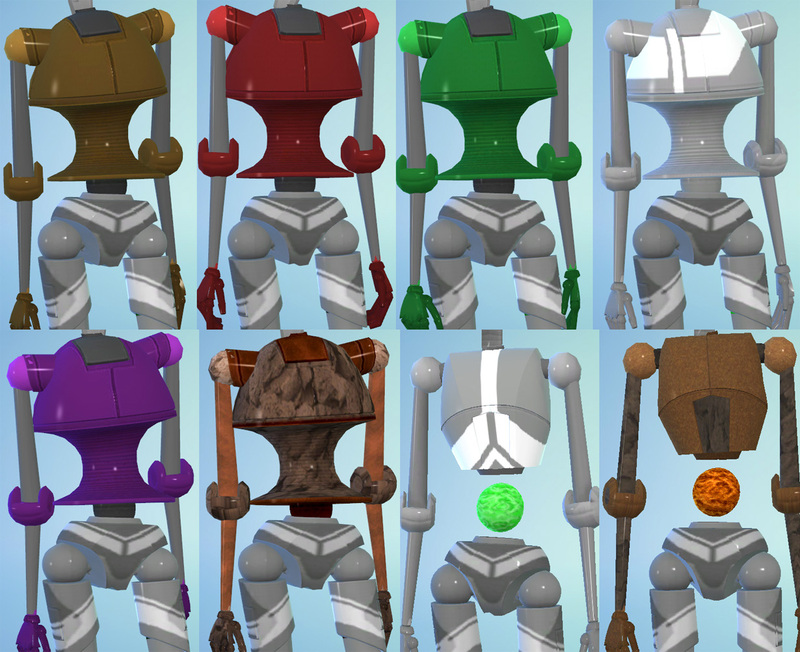 Please see the above row of pics to see all the parts in all the colours. 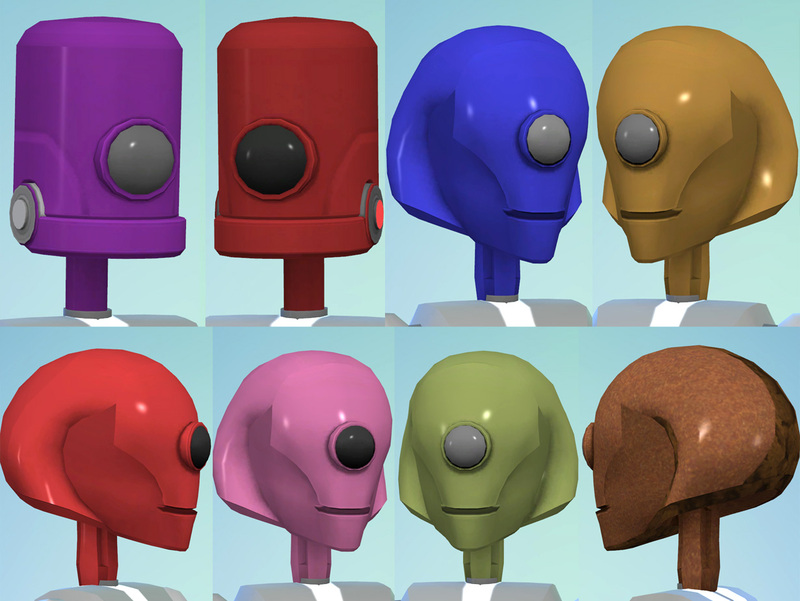 To make a robot, you need to start with a plain default sim with no accessories or facial hair. 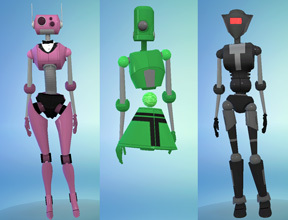 I've supplied two readymade default sims called Plumbot Female Bot and Plumbot Male Bot that you can use as quick starter sims. 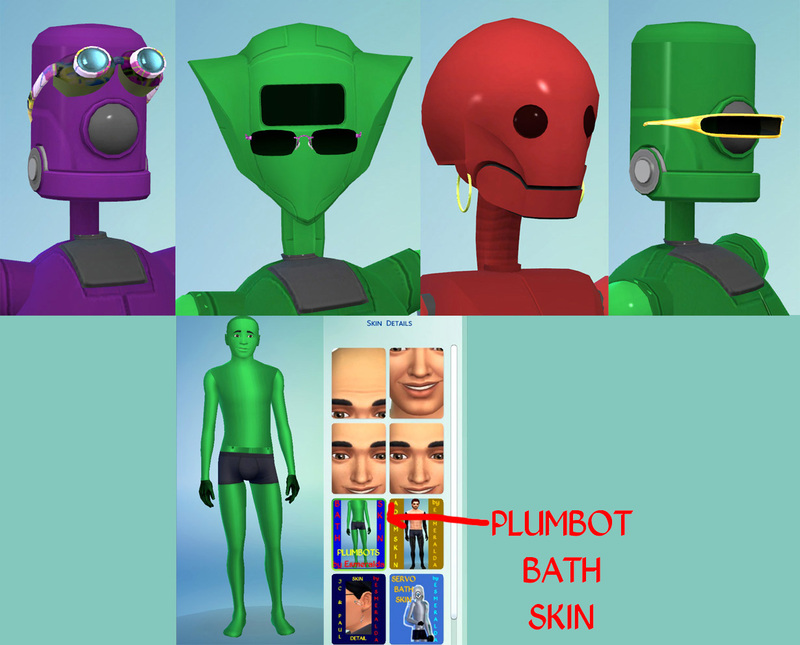 As the robot tops and bottoms will come off in the bath (the heads stay on), start by going into Skin Details to apply the Plumbot Bath Skin in the colour of your choice - see bottom row of below pic. This way, at least they will retain a metallic-looking skin while in the bath. Then go into Hair, Tops, and Bottoms to apply the 'heads' and the tops and bottoms of their 'bodies'. 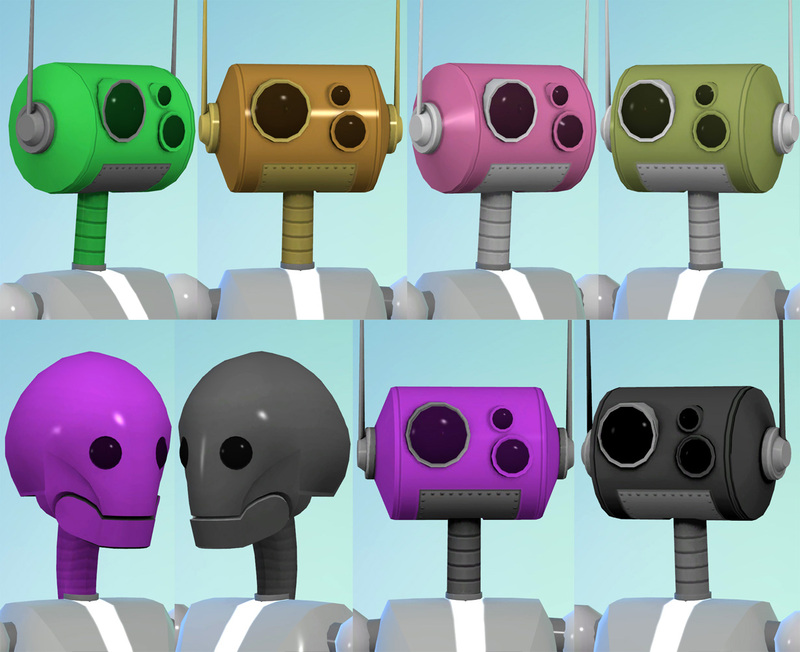 You can also add some head accessories to jazz them up a little, as shown in the top row of the below pic: my forehead googles look cute with the Tim head, or you can add hoop earrings or glasses depending on the size and shape of the head. Recolouring: I've attached a separate zip file containing the greyscale templates I converted and adapted from TS3 in case you would like to try recolouring these. Minor Issue: Note that due to the non-standard bodies there will be some clipping in a few animations, such as in the dance pic above with some of the feet clipping the floor, but these are not overly noticeable in gameplay. Thanks for looking, hope you'll have fun with these bots. 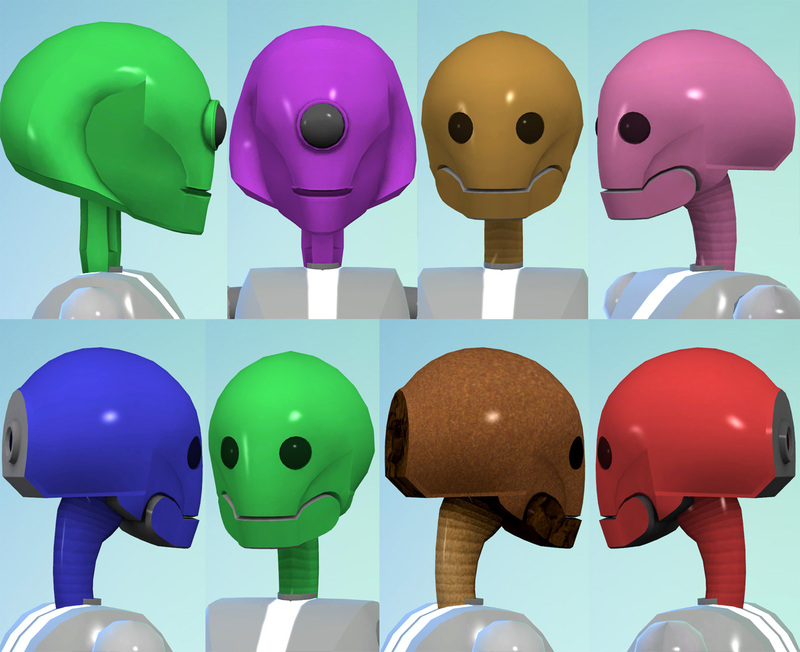 Download the Plumbots zip file and unzip it. Move the .package files, which contain the cc, to your Documents\Electronic Arts\The Sims 4\Mods folder. 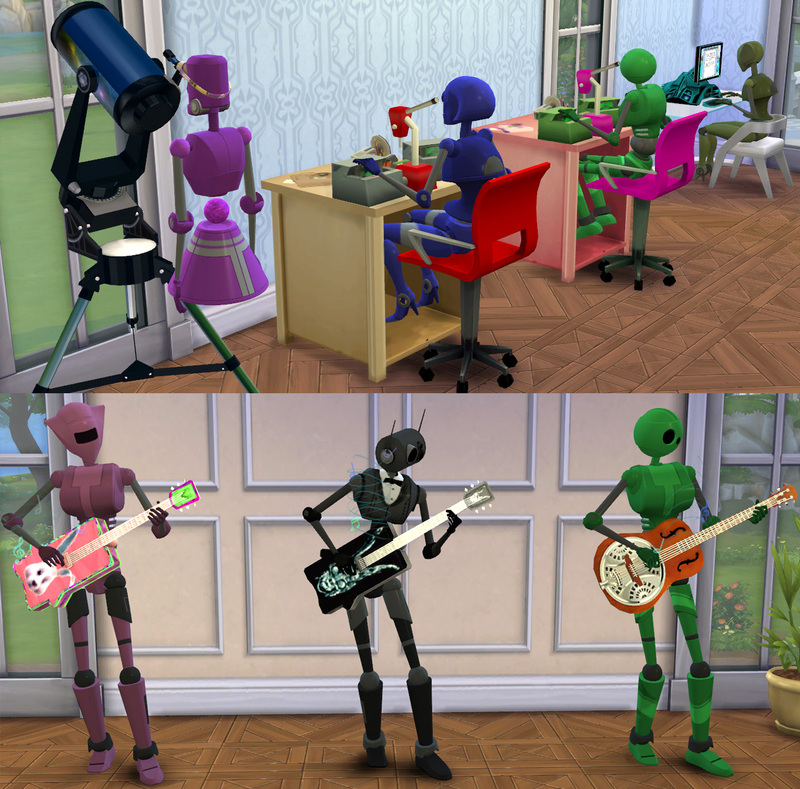 Then copy the files inside the folder called Plumbot Underlying Sims to your Documents\Electronic Arts\The Sims 4\Tray folder. Made with S4 CAS Tools, Sims 4 Studio, Milkshape and Blender. 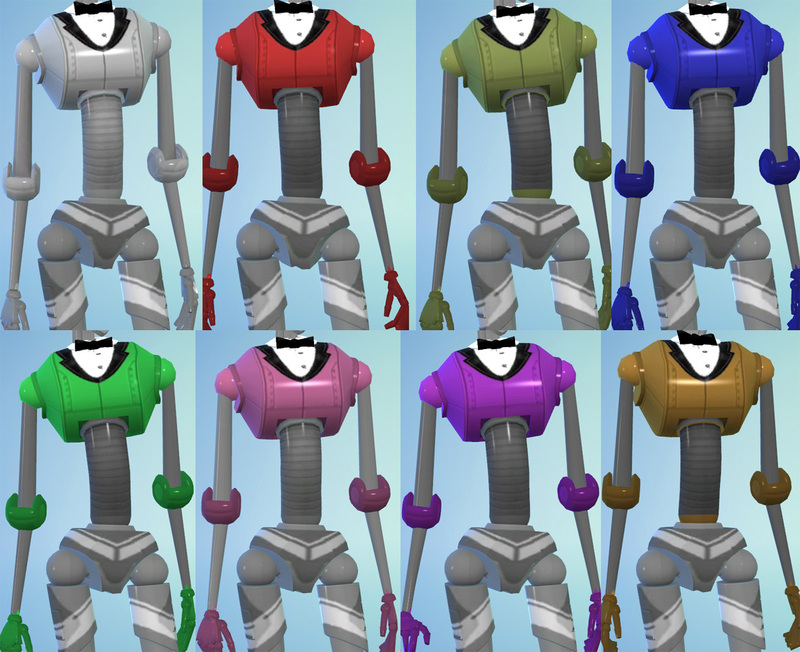 A big thank you to Flarz for his discovery that the specular from the GTW mannequins produces a highly shiny all-over effect that was perfect for these bots! 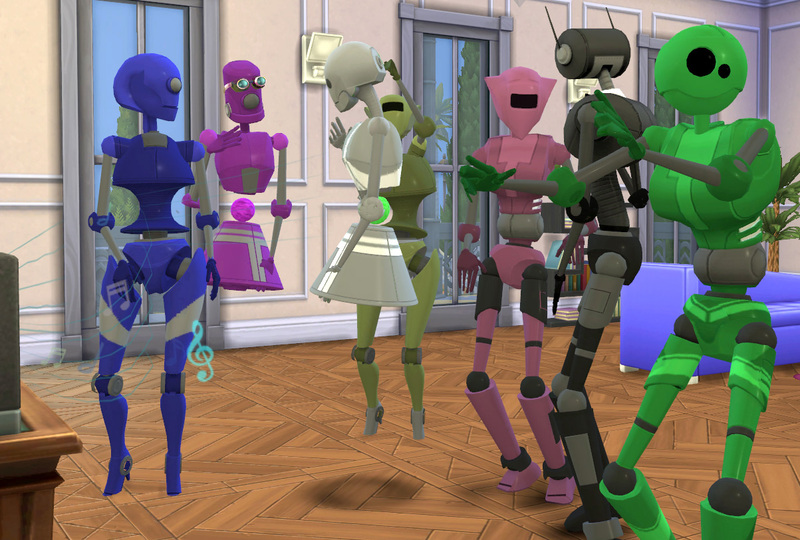 Thanks to EA's TS3 team for the Plumbots.